I headed north from Mono Lake over a pass at 8,100 feet. I use both the Allstays and the Ultimate Campgrounds Apps on my IPhone to determine where I can stay overnight. 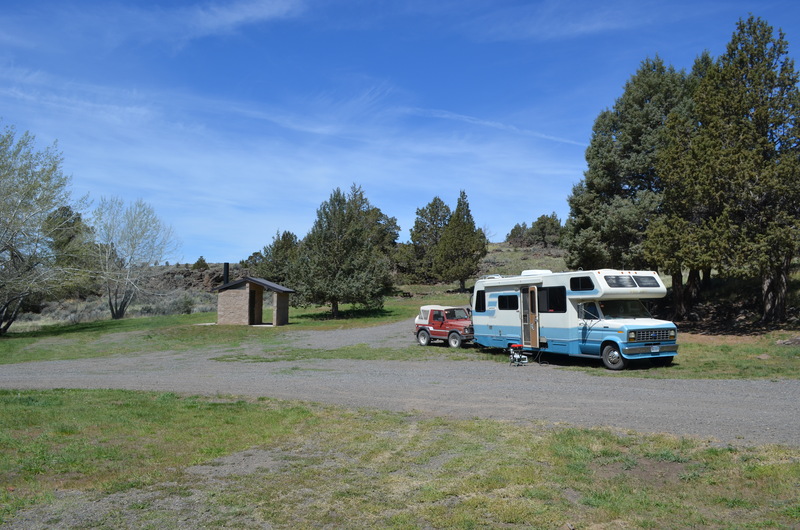 They are both very handy and you can use filters to determine what type of campground you prefer. 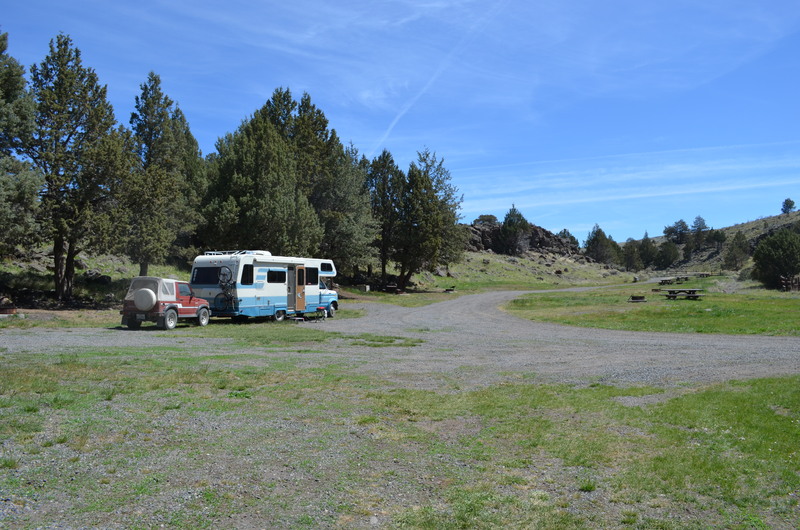 I decided on the Ramhorn Springs BLM campground about 45 miles north of Susanville, CA. It was a bit further then I like to drive at 271 miles. I normally like to travel only 200 miles per day. When I arrived there were 2 truck campers pulling ATV’s. Chica and I got settled in and prepared dinner and then went over to talk with my fellow campers at their campfire. They had been coming here for several years and told me about the area. It is always neat when you can find others who will share their knowledge of the area with you. One of them suggested that I unhook the car and check out a few of the spots they mentioned. I was thinking of doing that, but the Internet was so poor and I was out of phone range. So I decided to move on. Here are a couple of pics of the campgrounds. It was very cool and well maintained. The first pic shows the road leading into the park. It is right off 395 about 3 miles on this road to the park entrance. The next few pics show are campsite within the park. Since I had driven 666 miles (that should have been a hint that something was going to go bad) in the last 3 days I decided that a short drive further north would be a great idea. I looked up a NFS campground 22 miles north-west of Altura, CA. It would be a short relaxing drive of about 80 miles. Great! We were headed to Howard’s Gulch CG. 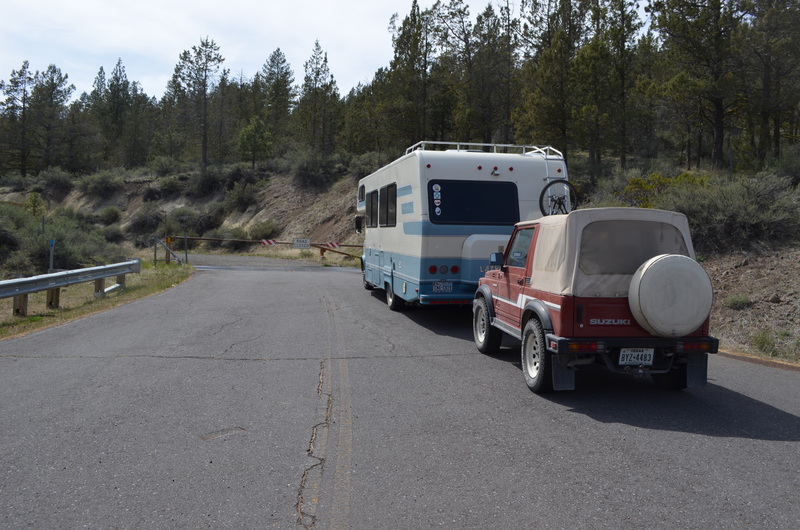 Just prior to turning into the campground road the 2 lane road started a passing lane. NICE!!! I had to turn left so was in the passing lane. My trusty GPS told me where to turn and left I went only to find the RV’er with a toad’s worse nightmare – ROAD CLOSED. I was already committed and had no choice but to turn left. I got out and surveyed the situation and determined that I had to unhook my car, turn the rig around and then rehook up my car all within about 50 feet. The problem was that I was on an incline and when I tried to unhook the car I couldn’t get it off the ball hitch because of the incline. After starting my car and putting it into gear and using my handbrake to stop I was able to get it to a point where It would come off the ball hitch. Then I had to maneuver both rig and car in a small space facing the opposite direction, hookup the car and then I would be on my way. By the way, when I checked the campground it said it opened in May. Today was May 1. DUH!!! I guess it was too early to open. Oh well! By this time I determined that any campground that said it opened in May probably meant May 15 or later. 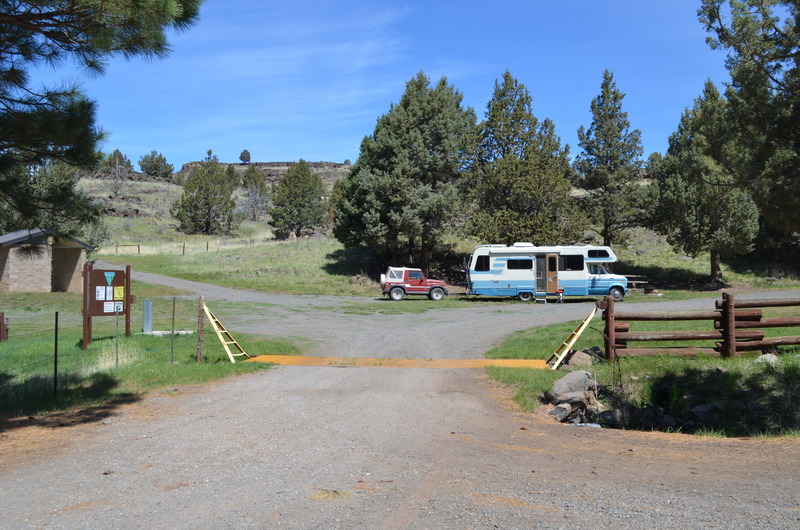 My friend John had mentioned a casino in Klamath Falls, OR that allowed RV’ers to spend the night. So that was my goal. I put it into my GPS and off we went. On the way a large truck came flying by going the opposite direction and my wheel well cover came detached and was flapping in the breeze. I pulled over and tightened it the best I could but it was not good enough as it happened again once another truck went by. I did this about four times and then decided I was going to get it fixed temporarily until I got to my campground in Washington where that would be added to my list of things to do. So I got out the one thing I knew could do the job properly – good ole DUCK TAPE. I taped it up and the flapping came to a halt and I drove to Klamath Falls. Once I got in Klamath Falls I thought it would be only a short drive to the casino. OH NO!! It was 24 miles north of town. YIKES! I usually check my GPS to see the total miles I have to travel to my destination, but this time I didn’t. DUH!! It is now 5:30 and Chica is getting antsy (although she cooperated) as well as myself. We finally arrived at the Kla Mo Ya Casino about 6:00 and I immediately pulled into a nice shady spot. The Internet here is great and the weather very nice, so I don’t plan on leaving here for 2 days. Unless they kick me out. HA! 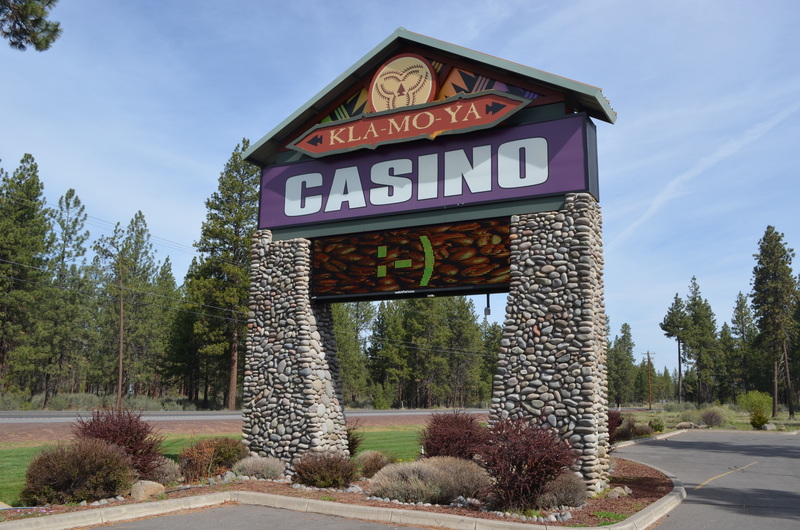 This entry was posted in Chica, Klamath Falls, Oregon, Towing and tagged Chica, Kla Yo Ma Casino, Klamath Falls, Oregon by Jim Melvin. Bookmark the permalink. Some days are diamonds . . . and some days . . . not so much. But any day in a Lazy Daze is a good one, yah? Oh no. We had that happen to us when we were towing the boat behind the fifth wheel. The GPS took us someplace no RV should go. Jim had to unhook the boat, muscle it out of the way, jockey the fifth wheel around and then rehook the boat. I cried. (I’m such a big help) I think your nerves and Chica’s deserve a two day break. The princess Chica needs a time out to relax and chill out !! lando still looked for her each morning and when I mentioned her name. UH – my sympathies. Its happened to me too. 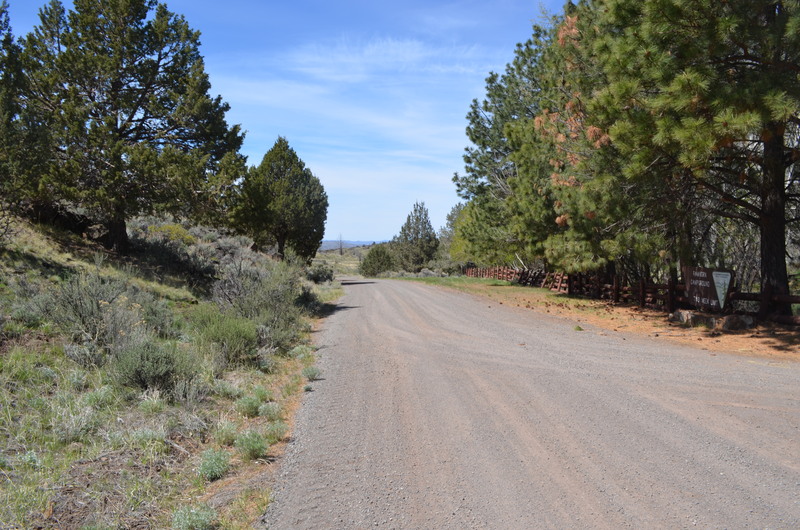 Dead end road – had to unhook car to be able to turn around. Fortunately, I didn’t have to deal with the incline you had to. Another time, it looked like I could swing into a gas station easily only to find an illegegally parked and disabled car in the way. Again – unhook the car and so on. Still – its the best life ever for me! Whew! I hope we never get stuck like that but I think it’s probably optimistic. I like your attitude–roll with it & get back on the road! Nice to see the camps along 395. I’ve heard the Walmart in Klamath allows overnights.